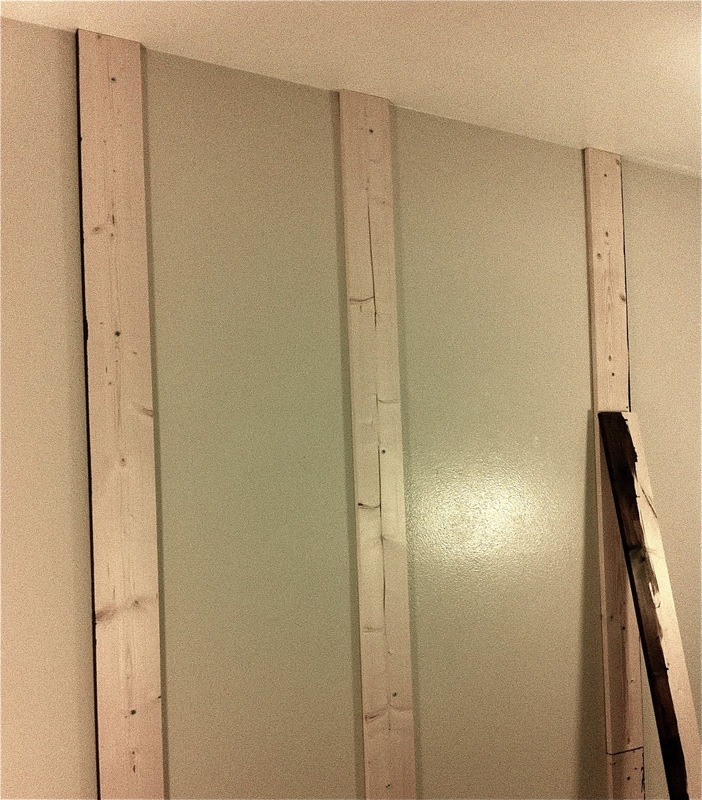 * Three 1" x 6" x 8' whitewood boards to use for the frame (have these cut down to 1" x 6" x 90"). 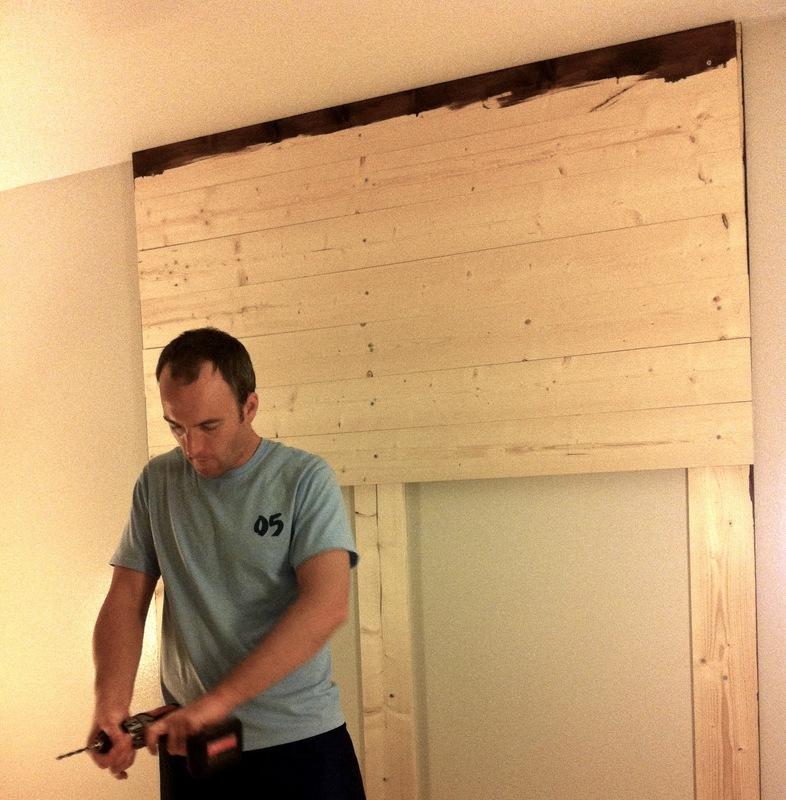 * Fifteen 1" x 6" x 8' whitewood boards to use for the headboard (have these cut down to 1" x 6" x 65"). 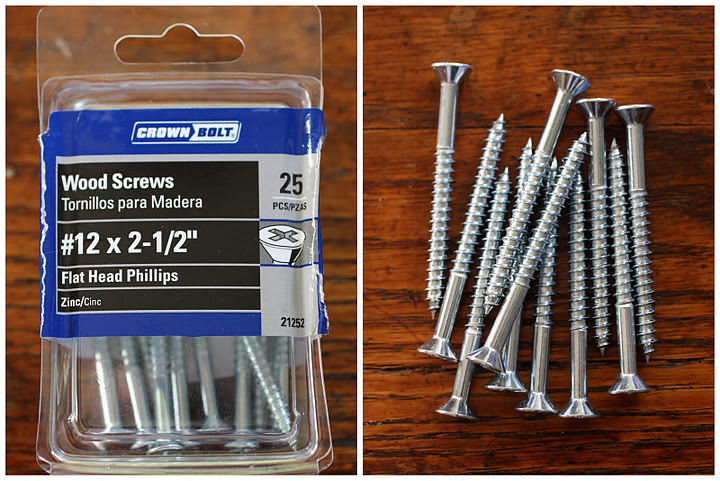 * A box of 2 1/2" Wood Screws to use for securing the 3 frame boards to the wall. 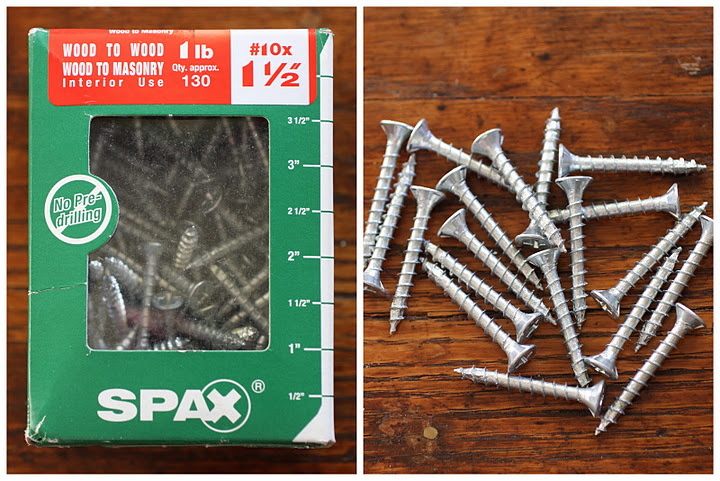 * A box of 1 1/2" Wood Screws to use for securing the 15 horizontal boards to the frame. * Stud finder, drill, & level. 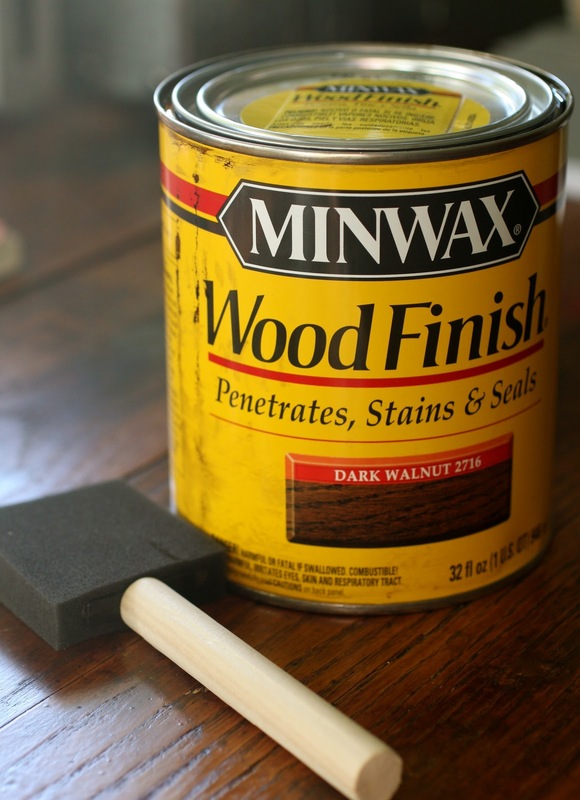 * Minwax Dark Walnut Stain & a couple of disposable foam brushes. * A pair of Ikea Kramer Wall Spotlights. 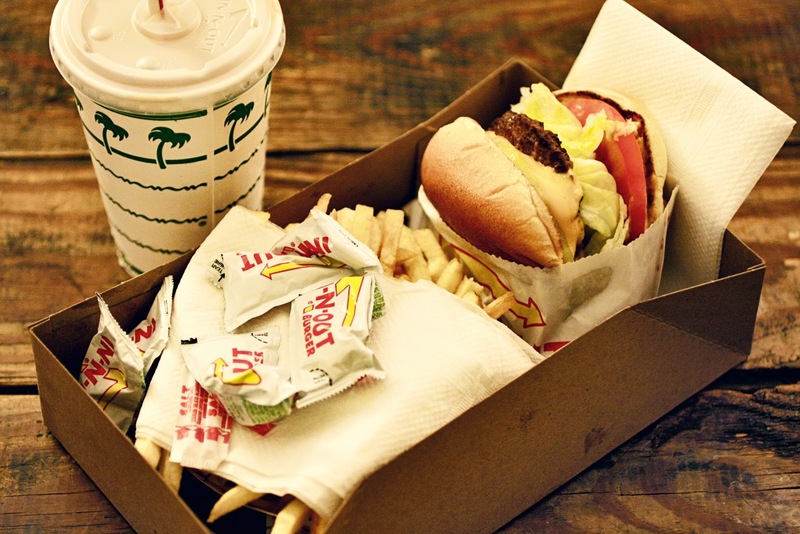 * Two Chocolate Shakes & Animal Style Burgers from In-N-Out. Now you're ready to get started! 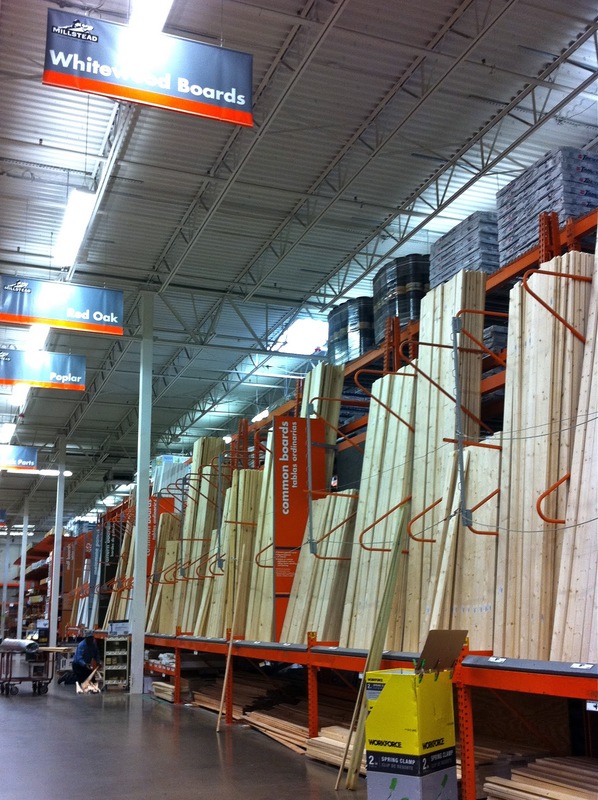 Before you do ANYTHING be sure and sand down any rough edges on the wood where it was cut. Trust me, there will be splinters! 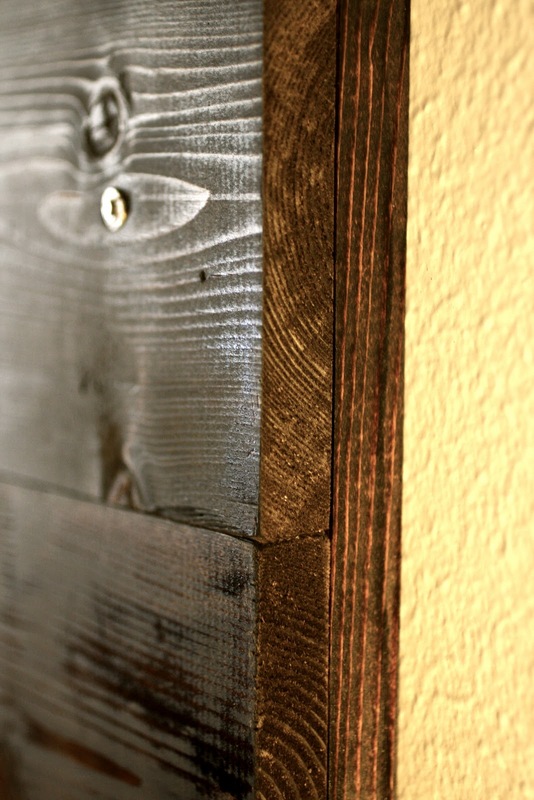 Then pre-stain the edges of your outer two frame boards, as well as the top horizontal board. This will prevent you from getting any stain on your walls. It's definitely a must if you're like us and like clean lines. Double check your plans before screwing any boards into the wall. You'll first want to start by finding the center of your wall. Measure 32 1/2" on either side of your center line. Since your headboard is 65" long this will mark the edge of your outer two pre-stained boards for your frame. 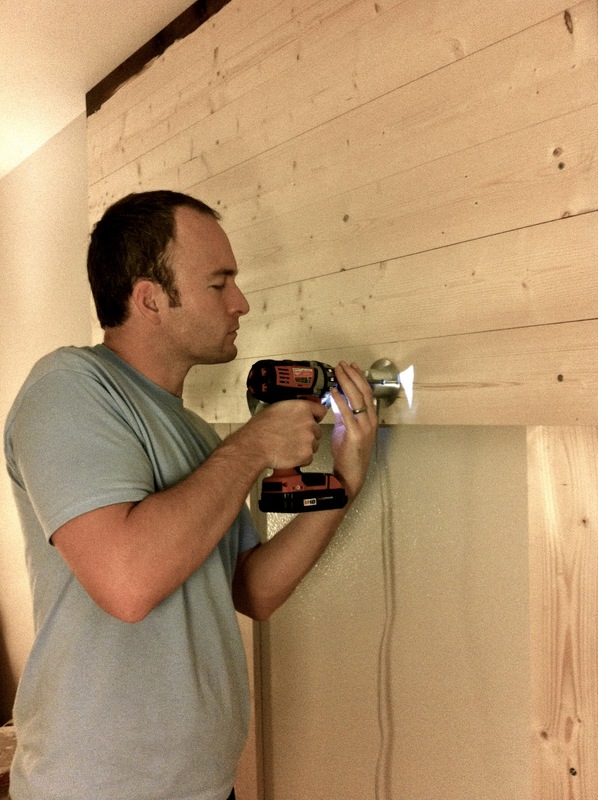 Once you have the outer two boards screwed into the wall (use your level to make sure they are straight), it's time to secure the middle board. It is important that this board be screwed into a stud (especially if your other two aren't), so it may or may not be centered. Don't worry if it isn't since no one will see it anyway. (Ours was slightly off to the left). Next, double check your headboard plans. 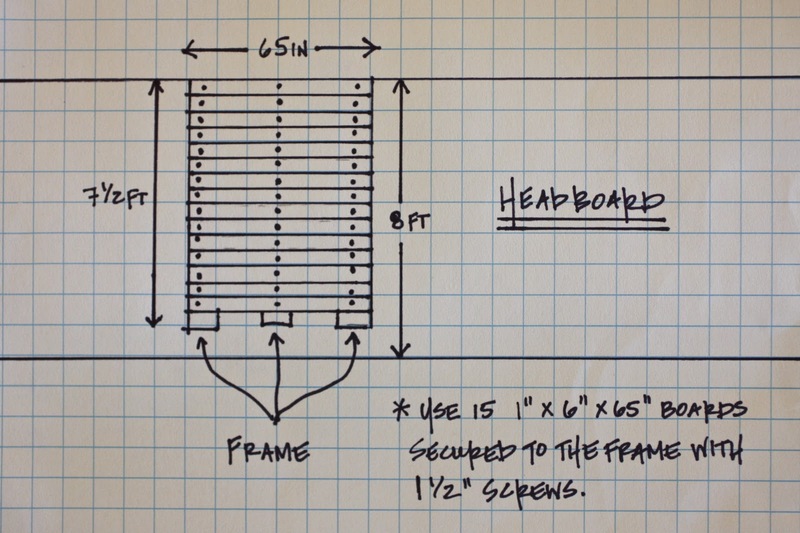 You'll screw 15 boards horizontally into the frame. This goes by pretty quickly once you get started. Once you've reached the desired height for your lights you'll need to screw them into one of the horizontal boards. We screwed ours into the 7th board down from the top. (You will unscrew your lights later when it's time to stain). 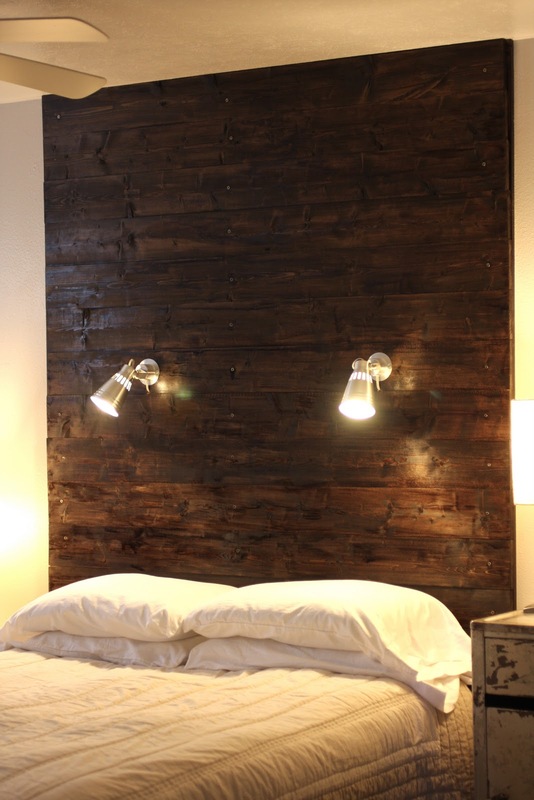 Because of the 1" gap between the horizontal board and the wall you'll be able to hide your light cords behind the headboard. 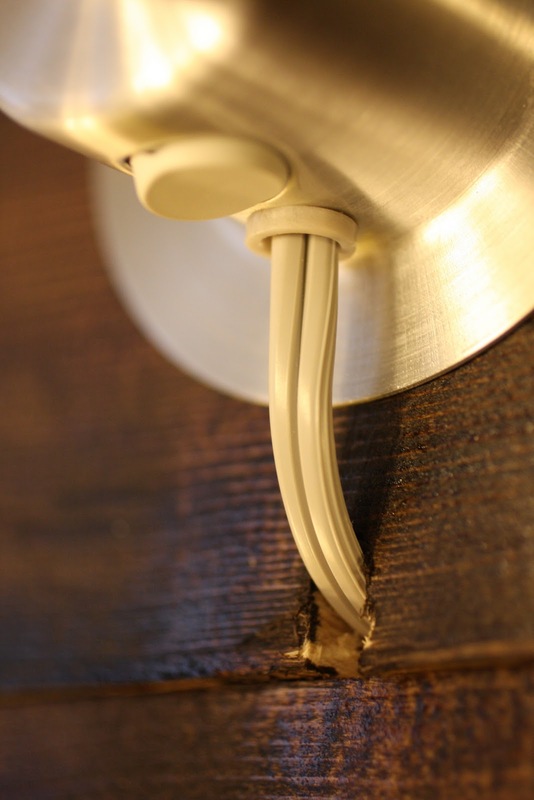 But first you'll need to create a notch for the cord using your drill bit. 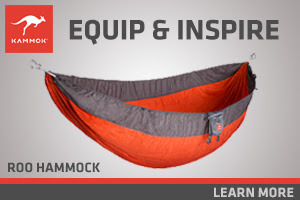 It doesn't have to be a large notch, just something big enough for a french fry or cord to fit through. Once you've finished screwing in all of your horizontal boards it's time to stain. Because you already pre-stained the edges of your frame boards staining the sides of your horizontal boards will be a piece of cake. No need to worry about getting stain on your walls! The one mistake we made was not wiping off the stain with a rag after each coat. This didn't hurt the wood, it just took a little longer to dry. Here's what our headboard looked like after 2 coats of stain. And here's what it looks like dry! Tim and I couldn't be more pleased with how everything turned out. Our headboard isn't perfect but we love it, and the wall sconces have been great for reading at night. 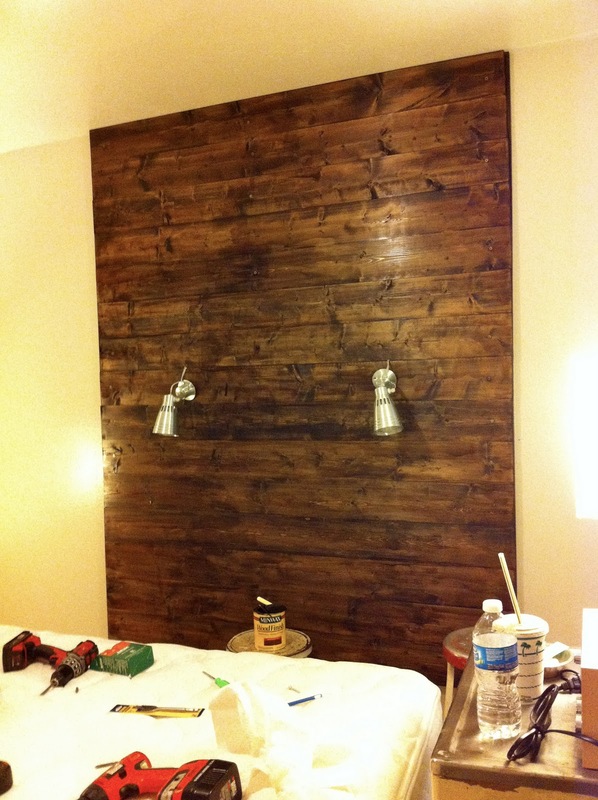 The overall cost was around $125.00 ... not too shabby for a custom headboard. Feel free to email us or post comments below if you have any questions! nm i found the link! thanks! i LOVE this! i wish i wasn't renting b/c i want to do this! can't wait until i can. It looks great. Thanks for sharing the tutorial. I can't wait until we have a house to make things for! (It will help us fill in the time to ourselves on the weekends.) I love DIY projects. 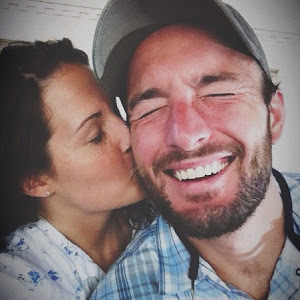 Hope my new hubs will play along! OMG! Best DIY instructions EVER!! We will be creating this ourselves. LOVE IT! I learn so much from you guys! Thanks for sharing and documenting. This is awesome!! You guys are so creative and handy! we are also renters, but the nice thing about building a frame is that you only have to put 9 small holes into your wall which can easily be patched. we also plan on disassembling our headboard and taking it with us when we move!